Saturday June 4th 2016. Westerpark, Amsterdam. 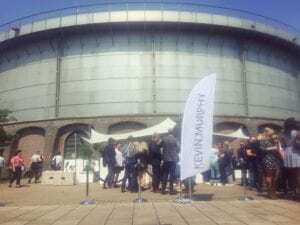 Basked in glorious summer sun, this uber trendy neighbourhood sets the perfect scene for the highly anticipated show, A ONE TO ONE WITH KEVIN.MURPHY. 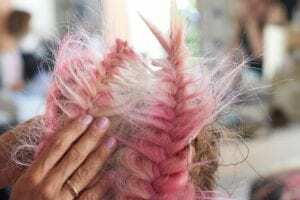 Drawing hundreds of style enthusiasts hoping to soak up more than just sun, the event, “a 12-hour love affair”, promises to showcase the latest work from Kevin Murphy’s team of creative minds. The venue, Westergasfabriek. A former gasworks factory originally used to supply power to light the streets of Amsterdam in the 50’s. Adorned with canopies, banners and balloons, a trendy collective of creatives sip champagne in front of this strangely beautiful building. A lone shadow appears on stage. No fuss. No grandeur. There stands founder and Creative Director, Kevin Murphy. He seems genuinely pleased to see every single one of us, appearing almost humbled by the welcoming, excited crowd. We’re then treated to a gorgeous film, shot in what can only be described as ‘created’ paradise. The emerald hues of his rainforest-inspired looks are beyond beautiful. He goes on to perform an inspired hair demonstration, ably assisted by Emma (Education support for Europe). 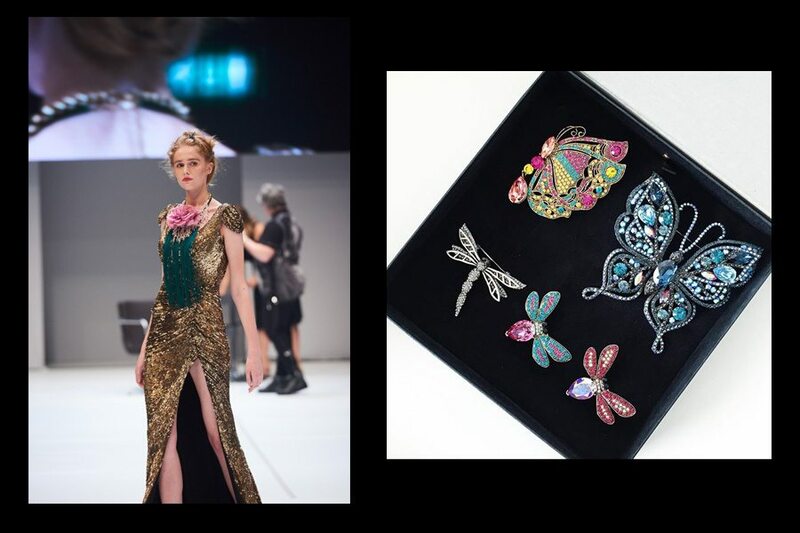 Swarovski Crystal hair jewellery is effortlessly woven into his model’s tresses, producing a vivid, dynamic creation of butterflies, bees and dragonflies, nestled into gorgeously entwined sewn hair. We’re treated to his signature beach hair look, new cortex wand and hot brush techniques. Most exciting is the new K.MEN campaign, promoted with simple, beautifully photography showcasing an eclectic selection of male models. Michael Jung, European Director of Education for COLOR.ME, takes to the stage after Murphy to exhibit the brand’s high-performance colour range. He presents the latest colour techniques alongside Pascal Van Loenhout, who demonstrates his CUT.ME style collection live on stage with his favoured curved scissors. We’re then invited to “enjoy nature” by dining al fresco in the fashionable Westerpark grounds, complete with picnic bags full of organic goodies and Kevin Murphy branded blankets. Returning inside and eager to hear more, we’re immediately immersed in a salon presentation by Sue Remes. A recreated salon stands before us with KM Educators styling a diverse mix of clients in front of mirrors and styling sections. Sue discusses the importance of understanding who our core customers are, why they choose us, the importance of their experience and ultimately what keeps them engaged. Feeling enthused, we’re then treated to a beautiful solo performance of “O mio Babbino Caro” sung effortlessly by 12 year old Amira Willighagen, Winner of “Holland’s Got Talent” 2013. A standing ovation and mass mopping of tears ensues. For starters, BLONDE.SHIMMER! Working on the same concept as SHIMMER.SHINE, this light-reflective technology is recreated especially for the blondes. Its purple hues sparkle from the transparent bottles and promises to be packed with conditioning anti oxidants, the ability to colour correct and provide the shine that blondes so eagerly desire. And if that wasn’t enough to quench our product thirst…Personal & Room Perfume makes me squeal! My clients are intoxicated by the beautiful fragrances of the KM hair range, so I’m thrilled they’ll now be able to wear them as fragrances and drench their homes in scent, too. Mmmmm Jasmine and Lavender I wonder? Having worked with Craig Hughan and Ilona de Leeuw at Prague Fashion week earlier this year, I’m eager and excited to see them work their magic centre stage. The large curved screen becomes emblazoned with a feisty and fast moving video based predominately around Prague Fashion week, featuring us and the European FW team! Ilona blows us away with her beautiful braids and to-die-for created dreadlocks, while across the stage Craig and his dark S T O L E N vibes are ever present. Amongst his looks are sections of uniformly placed grips, endless interesting texture, “hair with feeling” and our new FW favourite, a take on the “Lady Gaga”. We’re also wowed and entertained by the other SESSION.MASTERS and STYLE.MASTERS Massimo Morello, Marianne Jensen, Juha-Matti Manninen, and Camilla Jönsson. Flower crowns, porcupine quills, bows and braids galore! 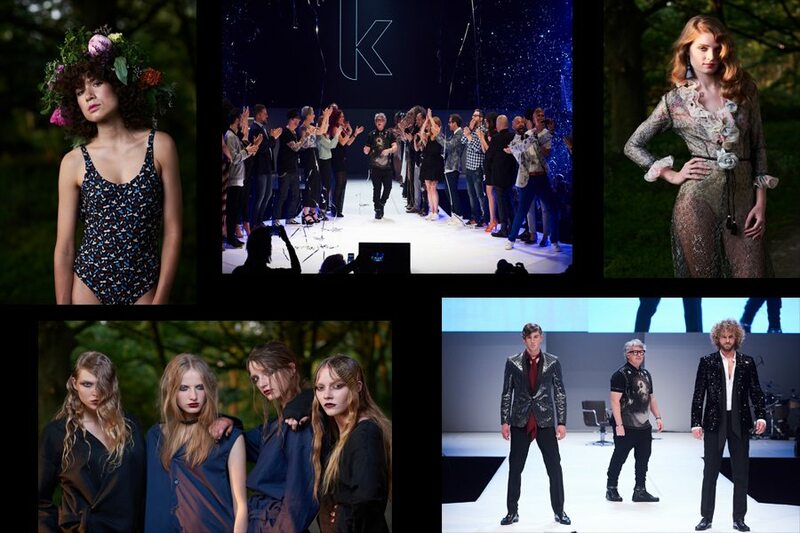 Inspired by their vision and mesmerised by their colour creations, I’m also blown away by their unfaltering passion for the KEVIN MURPHY family, their focus on fashion, performance and the environment. There are lots of smart and thoughtful touches throughout the whole event: tall jars of gummy sweets; branded chocolates; artisan lollypops and the infamous COLOUR.BUGS for the taking. A constant supply of KM products, carefully chosen toiletries and fragranced candles adorn the restrooms, and KM branded Havaianas are the ultimate gift for my party-hard feet. It doesn’t go unnoticed that the recommended taxi firm to use during our stay in Amsterdam is, of course, electrically powered. Just when I think I can’t love the brand any more! I’ve heard that Kevin Murphy is in Vegas for the SUPER.NATURAL hair show in November? Anyone seen my passport?